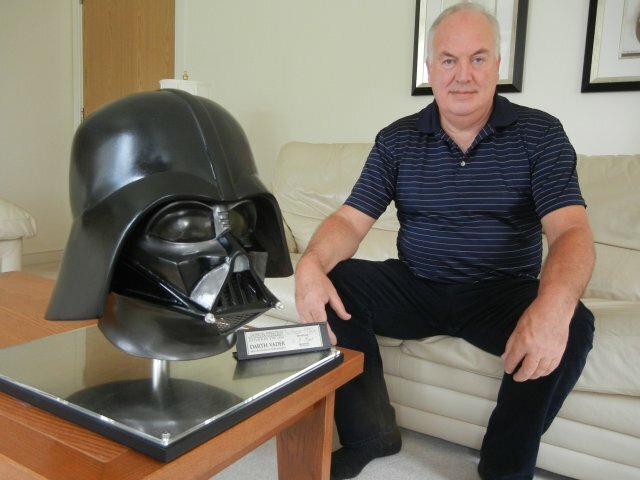 A legend of the Star Wars original trilogy has begun work on the first Star Wars Anthology film. Brian Muir, the man who sculpted the original Darth Vader helmet for A New Hope announced on Facebook recently that he had begun work at Pinewood Studios on Rogue One: Star Wars Story. Obviously, we all like to jump to the conclusion that Muir was brought in to work on the Gareth Edwards directed film because Vader will be appearing. There have been rumors the Dark Lord would make an appearance and with Rogue One taking place right before A New Hope, it would make sense. But before anyone gets too excited, keep in mind that Muir is very talented and capable of sculpting more than just Darth Vader. Regardless, it's always exciting when the people who helped sculpt (see what I did there) Star Wars into what it is today are brought back to help take Star Wars into the future.